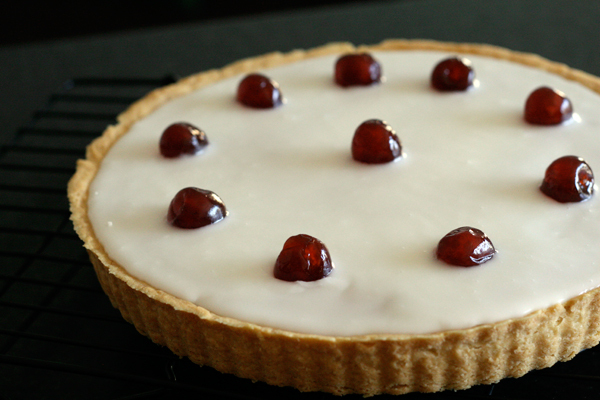 Ben’s been asking me to make a Bakewell Tart for ages, so I finally decided to give in and do a bit of research. 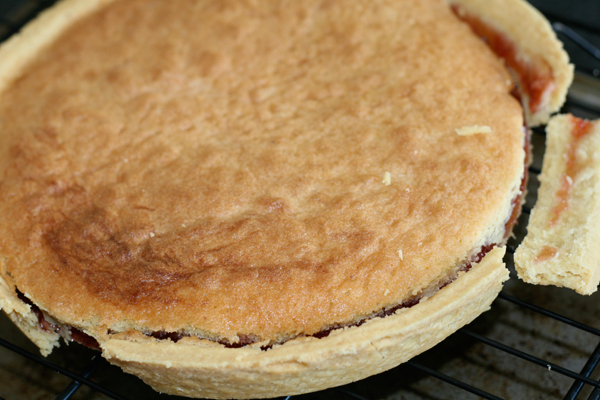 Originally, I was going to make individual tarts a la Mr. Kipling, but the pastry recipe I used was just terrible. It kept ripping and tearing and just wouldn’t cooperate. In fact, the recipe was so awful that the first tart I made completely fell apart! So for this week’s recipe, I won’t be posting the pastry recipe. It would just be cruel. Luckily, the second tart turned out beautifully and tasted AMAZING. 1. Preheat oven to 400° F (approx 200°C). Lightly grease your pie tin, then roll out the pastry until it is about 1/8-inch thick. Gently lay the pastry over the tin and press into place. Lightly poke the pastry with a fork, being careful not to go all the way through the pastry. Bake in the oven for about 10 minutes to set, then remove from the oven and set aside while you make the filling. 2. In the bowl of your mixer, beat the butter and sugar until fluffy, then add in the eggs followed by the ground almonds. 3. Next, add the flour, baking powder, and almond extra. Mix to combine. 4. Spread the bottom of the baked pastry with a generous layer of strawberry jam, then fill with the almond batter. Bake for approximately 20 minutes. 5. Remove the baked pie from the oven and set aside to cool on a wire rack. Once it is completely cool, it’s ready to ice. 6. Make the icing by combining the icing sugar and milk, adding the milk slowly and only adding enough to make a thick but still runny icing. Pour over the cooled pie, being sure not to let it run over the sides, then dot the top with the glacé cherries. I was actually planning on making these as miniatures to start with, but I was having a difficult time with the pastry. You’d really just need to cut down on the cooking time and make sure your pastry is really thin!